Welcome to The Origami Nun’s first tour stop with a great book excerpt & an awesome giveaway! Seven-year old Ruth can't speak, but that doesn't mean she can't think. She knows her birthday is going to be good as her beloved great-aunt has exciting plans for her. 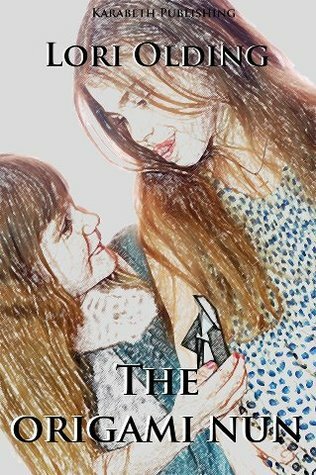 What she doesn't expect is a magical paper nun, an encounter with a bully who may not be what she seems or a school day to remember. Because, before her special day is over, Ruth is in for some very big surprises. When Ruth was seven years old, her great-aunt Alice gave her an origami nun for her birthday. Ruth had other presents too: an art box full of different colour paints and ten brushes in different sizes; a red and yellow Swatch watch;; a charm bracelet;; and a set of children’s books, including Charlotte’s Web, which was her favourite. Ruth was the sort of child who didn’t mind reading books again. That was part of the fun of them. But the origami nun made her smile the most. She wasn’t large. In fact she was very small, about twice as tall as Ruth’s thumb, and no wider. She was angular and made with stiff paper that was black on the outside and white on the inside. Ruth could see this by the edge of white under the nun’s face. She didn’t want to take the nun apart to find out for sure, but that was what she thought as she turned the present over and over in her hands. When Great-Aunt Alice saw how happy Ruth was with the nun, that made her smile too. Whenever Great-Aunt Alice smiled, her skin would crease up into a pattern of wrinkles and her eyes would seem to disappear. That always made Ruth laugh, silently, which must be catching as soon Great-Aunt Alice laughed too, and after that the room was full of the sound of her great-aunt’s giggling and the crinkly snap and sigh of wrapping paper. “Do you like the nun then, my darling?” Great-Aunt Alice asked and Ruth smiled and nodded so hard she felt that her head might fall off. She didn’t answer in words. For the fact of the matter was that Ruth couldn’t speak. She was dumb. If she needed to say something she would use mime or write things down. Ruth was quick at writing and most people were happy to wait for her to finish. Only a few walked away. Also, she didn’t have anything wrong with her hearing and it was funny how often people who didn’t know her didn’t understand that. They thought dumb meant deaf or stupid, or maybe both. Ruth didn’t much like those people. She was glad when they walked away. Ruth looked at the nun again. She held her carefully in her hands so she wouldn’t crumple her. How beautiful she was. So calm and so still. Maybe the nun was from a silent order? Great-Aunt Alice had told her about those, and Ruth liked the idea that adults could do things where they didn’t have to talk. Because sometimes she thought the whole world was full of talking and she knew she would never be part of that, because of being dumb. Just at that moment, the sun shone through her bedroom window and she was certain that the nun winked at her. Even though she didn’t have any eyes, or none that Ruth could see. She pointed at the nun and looked up at her great-aunt. Great-Aunt Alice loved origami and would spent hours folding paper into impossible shapes. In the past she had made frogs and swans, salt-and-pepper pots and tractors, cottages and telescopes. Ruth loved to watch her making them and had even made some herself but they were never as good as her great-aunt’s. She wasn’t sure her fingers were the right shape, being short and stubby compared to long and thin. But she kept on trying and that was what counted most of all. Ruth wondered if she should tell her great-aunt about the nun winking but decided to wait until later. She wanted to see if the nun would do it again. 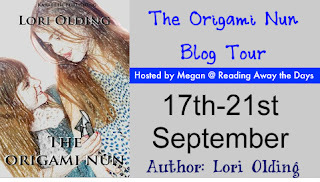 Up for grabs is a paperback copy of The Origami Nun by Lori Olding and three runners up will get an ebook of The Origami Nun! The prizes are for all the blogs taking part so there is only 1 paperback and 3 ebooks altogether for all the blogs. To be in with a chance of winning all you have to do is leave a comment below for the author, not just thanks for the giveaway! What do you think of the cover, the blurb for the book? This stop is worth one entry into the giveaway, if you want more entires make sure to hop over to the other posts once they are up. The more posts you comment on the more entries you get. You need to make sure you leave a way to contact you if you win, either an email or your twitter name! There are know extra points for spreading the word but if you would like to that would be awesome. Giveaway is international and opened till the 30th September 2012! 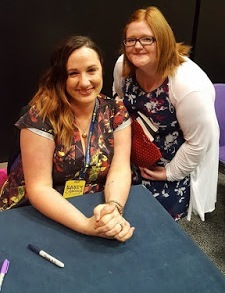 Giveaway items provided by the author! THE ORIGAMI NUN looks just wonderful. My son has a profound hearing loss, so this story speaks to my heart.